Synopsis: In every footlocker, hope chest, and heart full of secrets there is a story waiting to be discovered and told. Princess Adele lives with her brother, Robert, the King of Valdoria in the castle. There has been a monster terrorizing the Kingdom for months. The King has finally come to a decision on how to deal with the monster but the Princess can't agree with him. For the sake of the Kingdom Princess Adele decides she must be the one to kill the dragon. She couldn't live with herself if her brother went ahead with his plans. Source: This book was given to me by YA Bound Books Tours in exchange for an honest review. Summary: Everyone in Dahlia's world knows when they're going to die. Except her. Her father has never shown her the pocket watch counting down the days she has left to live. 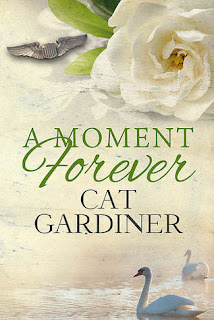 When he sacrifices himself to save her from her scheduled death, Dahlia abandons her comfortable home and sets off after his murderer to uncover the secrets her father died top rotect...and the time research that could bring him back to life. Then she meets Farren Reed. She should hate him. He’s an enemy soldier, a cowardly deserter, and the most insufferable man Dahlia’s ever met. Still, she needs all the help she can get, and Farren is the only chance she has to find the man who murdered her father. But Farren has only twenty-seven days left on his watch. Synopsis: With divine beauty comes dangerous power. 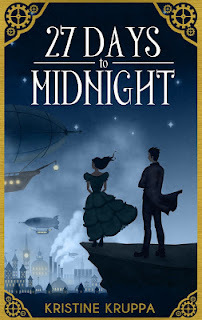 Source: This book was given to me by Historical Fiction Virtual Book Tours for an honest review. 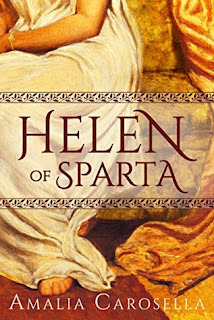 Synopsis: Long before she ran away with Paris to Troy, Helen of Sparta was haunted by nightmares of a burning city under siege. These dreams foretold impending war—a war that only Helen has the power to avert. To do so, she must defy her family and betray her betrothed by fleeing the palace in the dead of night. In need of protection, she finds shelter and comfort in the arms of Theseus, son of Poseidon. With Theseus at her side, she believes she can escape her destiny. But at every turn, new dangers—violence, betrayal, extortion, threat of war—thwart Helen’s plans and bar her path. Still, she refuses to bend to the will of the gods. Today's guest writer is Chantal Gadoury. She is the author of Allerleirauh, a retelling of the lesser known fairytale by the Brothers Grimm. In this guest post, she explores the history behind the Grimm's fairytale. I have a lifelong passion for fairytales, and I look forward to reviewing Allerleirauh soon! 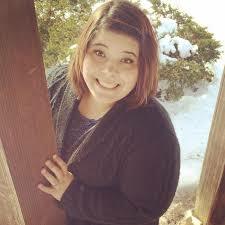 I hope this guest post gives you some insight into her fairytale retelling. Thank you, Mrs. Gadoury! There’s always a story behind a story, whether we as the readers know that or not. Behind every great fairy tale, there is a place where it made origin; an event or person that influenced the past cultures to create the stories that we all know and love today. Even the untold fairy tales, like “Allerleirauh,” have a place in origin. It’s hard to say, “Yes! This is exactly how this story came to be,” but it can give a general idea of how a story might have been created. 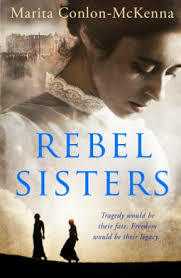 Synopsis: Published for the 100th anniversary of the Easter Rising, Rebel Sisters is the Number One Irish bestseller from award-winning novelist Marita Conlon-McKenna, who writes with all the emotional depth and warmth of Maeve Binchy. With the threat of the First World War looming, tension simmers under the surface of Ireland. Growing up in the privileged confines of Dublin’s leafy Rathmines, the bright, beautiful Gifford sisters Grace, Muriel and Nellie kick against the conventions of their wealthy Anglo-Irish background and their mother Isabella’s expectations. Soon, as war erupts across Europe, the spirited sisters find themselves caught up in their country’s struggle for freedom.